One owner, immaculately maintained only 706Hrs- stored in a custom built sea pen since new. Ideally suited for long range cruising with 3000L of diesel in main tanks with another 2000L in spare tanks to allow huge range. Twin Yanmar diesels deliver an economical cruise speed of 18kts, 4 cabins, the main queen being an island berth. Spacious saloon, well equipped galley with quality appliances including dishwasher. 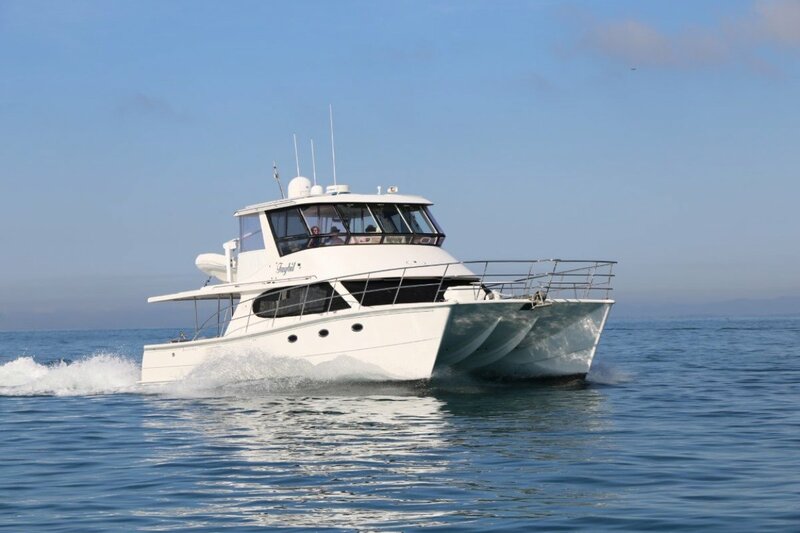 Huge refrigeration, fantastic cockpit for fishing or entertaining, Davit, tender with 15hp Yamaha, full electronic package featuring Furuno Radar and sounder, TMQ auto-pilot. Inspection of this first class vessel is highly recommended.